contest contests ebay indiblogger shopping The 'S' of Shopping in 2030! Having made man on the 6th day, God decided that he should have someone who could share his sorrow and happiness. That's when he made a woman to support and guide him. Now that he had made men and women, there should be something interesting to do. Woman had different characteristics and men had different. There is a theory to support this by a self proclaimed scientist whose name I don't wish to reveal. Coming back to the point, I have decided to write about shopping and human beings fad for acquiring new things in life in form of money and materials. Men worked hard to meet their family needs especially their mistress. They say necessity is the mother of all invention. Man found it difficult to take his wife for shopping especially considering the fact that he has to travel all long amid slow moving traffic and other such factors. Decades ago people used to saunter around local markets near their place to shop for clothes and other things. Few years hence, many malls were developed in India. Mall culture changed the face of shopping in India. It’s true that this concept was stolen from the western world, but it was a huge hit in India. We all used to visit such malls during weekends and visit other accessory stores especially big brands. First thing that few of us do is to eye for a good looking item and check the price tag. If it’s beyond our capability, we move on and eye for some other items to purchase. Thus came the concept of window shopping. Today malls are build across main attractive locations in metropolitan cities. Few of these include colleges and offices to grab niche specific customers or users. Crossword is present in almost all malls and many of us in today's generation are vivid book readers. We are enthusiasts who love to do things differently. Most college students these days bunk their colleges are stroll around in one of those malls. I would reiterate what I said about mall culture. It has changed the face of shopping in India. All this happened while something more innovative happened aside which was nothing but the birth of e-commerce and online shopping. Many online sites came to existence which offers various facilities to customers. Customers these days don't need to travel all the way to malls to hunt for shopping items. With a click of a mouse button, you can order what you need from those sites. You could get your product delivered at your door. All thanks to innovation and inventions. Now many new e-commerce websites have started the day wise coupon system which provide discount to online shoppers to attract customers. One customer could possibly spread news to other customers and like this the website could get many customers. This is the face of shopping in India. So far, so good, everything has been smooth. Now I have decided to do something out of box. I decided to give some work to my ingenious brain. How about redefining shopping few years hence? So for this I decided to time travel to the year 2030.Now we don't know if we all will exist then but for time being I can envision shopping in that year. I have an idea in my mind; in fact I have many ideas which I would be sharing one by one. By Gods grace if we all live till 2030 and if you find few of my ideas actually getting materialized then would it be a right decision to get a patent for it now itself. Just Kidding! Let me put some light on my ideas one by one. 1. SMS Shopping Facility for one and all. SMS Shopping facility would be a very good option in 2030 considering the fact that our younger generation use text messages a lot and by 2030 the percentage would be even more. Brands need to tie up with various mobile operators who would timely alert their customers about different products through SMS's. 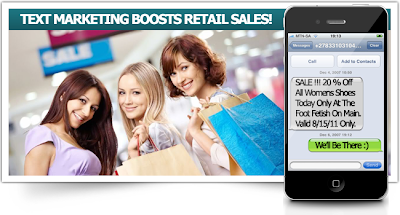 They would also alert different discounts and offers via texts. The user should be given an option to verify products via sms. So, he/ she would just need to reply them with the product code to confirm their order. The payment could be processed via sms gateway with the help of various technologies which use the concept of mobile transaction.Airtel has recently come up with mobile money. By 2030, many new mobile operators would emerge and old players would be fully established and well versed to the new technologies. The process would be completely streamlined and all that need is a hassle free shopping experience via sms. 2. Installation of Sensory Devices in Houses to facilitate shopping experience from Home. Salman Khan and Yuvraj Singh have been telling time and again that "Iss bhag daud wali Zindagi mei thakna mana hai (In this fast paced life, getting tired is prohibited)." So going by this logic, I suggest something different which could change the lives of shopaholics upside down. It is a device which would be having different inbuilt sensors to facilitate rich shopping experiences from Home. At times when something in kitchen gets over like sugar or milk etc, Indian mothers order their kids (read Son) to quickly go downstairs and get the required product. The naughty kid would at first refuse to go. Now as a mother, you might need to bribe your own kid with 10 or 20 bucks so as to get your job done. At least my mother had bribed me several times to get her things done like to bring coconut, onions etc. By the time he goes down and comes up, more time is consumed and your recipes can’t wait. So, this is where my invention would be of great help. Install the device in any corner of your room. So you might have already listed disadvantages of this device. Know that this device could be authenticated only for the family members. Like we would be having voice recognition software installed on the device on which the family members authorized to use the device should feed their voice on it. Like you need to say a code like "Hello World" to initiate access to the device. Upon authentication, the device would be activated and the person can ask for necessary product.It would be just like a password. Like, if I am a mother and there is no salt left in my kitchen and that’s when I realize that I need to buy a salt pack. Then I can say "I need 200 gm Salt pack". The device would swiftly recognize my voice on basis of keyword synthesis which would extract keywords from what I say. This would invoke backend processing where the keyword would be mapped to the database which is associated to the different shopping sites. A small printer would be connected to the device whose prompt response would be none other than list of possible options. Consider the reply as Tata Salts, Annapurna Salts, and Captain Cook etc. I just need to tell the product name and that product would be delivered soon in hours time or may be minutes time . So now you must be wondering how payment processing would happen in such system. I don't advocate usage of payment gateways for this device. 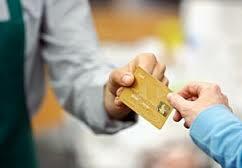 There would be a swipe card for shopping which would have certain amount. The card needs to be swiped against the sensor in the device. The card would be read and the amount would be deducted. The bill would be generated then itself. This would be the mother of all invention if properly implemented. But it would take a long time. The shop card could be refilled periodically. By 2030, I don't see any impediments in smooth implementation of this device. We could name it "Shopometrix". Shopometrix would be cost effective and would be a very good alternative for travelling all the way to malls, going through slow connections to process shopping on online portals and waiting for products to get delivered. This was the outcome of a brainstorming session with myself. 3. Shoporobo to ease and facilitate your shopping experience. Robotic scientists are coming up with something new every now and then. Humanoids could possible be a dream invention and don't be surprised Humanoids doing our daily household chores at home. So, assuming that by 2030, we have produced the best product in form of a humanoid. Humanoids are nothing but robots which would just operate like human beings sans emotions. They would not have emotions for the fact that they would be mechanical humans programmed to perform our task. "Shoporobo" would be periodically fed with our shopping needs. So by this we need to have will be stored into a special chip installed in the Shoporobo's body. This shoporobo would be automatically alerted when there is shortage of items in our home. Shoporobo will smoothly facilate the shopping process and payment would be processed via the shopping card aforementioned. For a change, this shopping card would be installed on the Shoporobo's body and would require special authentication to initiate the shopping process. 5. Engaging with Brands at home. Sign up for brands at their websites by providing your house address. This would facilitate brands to improve their customer engagements. So different brands can visit the customer’s house periodically with different products. The customer can select from different items. It could be a very casual conversation like customer talking to the manager about different things and other factors. The brand could award and reward gifts to the customer for the purchases made by them. Smart Shopping is something which we have already discussed in the points above. Smart Shop will focus on smooth payment process. These days, in most of the malls, the queue at the payment counter is too long. So when the user buys a product he needs to swap the shop card. The product would have a particular barcode. The User will have a smart shop card which will uniquely identify the user account. Whenever he buys a product, he just needs to flash his smart card against the barcode of the product and payment is done. After he is done with the shopping he needs to get the bill from a counter at the entrance. See this would be like self service disabling manual efforts by customer executives and we all know that manual handling can sometime induce unknown errors. This would remove queues in malls at payment counters. For that matter we don't even require a payment counter in malls. Aero shop could be implemented to lure customers. Stores could hire a jet which will simulate a shopping mall. The ambiance and everything would be similar to that of a shopping mall. The entry to the jet would be taken care of by the store. The customer just needs to fly and shop. So, it would serve dual purpose. Gain a flying experience along with a rich shopping experience. Win Win for customer and Stores. Shopo Goggles would be an ambitious project and it would read your mind. Whenever you visit a store, you just need to wear the shopo goggles. It would read your mind and provide you with many shopping options. It will enable the user to navigate through different products within blink of an eye. It would require lots of efforts and who knows one day it could be a massive hit and we all would be shopping with the help of Shopo Goggles. Buddy shopper would be a completely new concept in 2030. 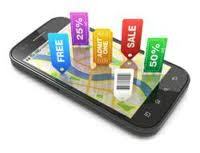 It involves mapping of buddies to a customer or a group of customer in form of a store representative who would be with the customer till the time he is in the store. The Buddy will give the customer about the products and give detailed information about the products along with its specifications and reviews. Buddy Shopper will take the user experience to the next level. Software Application Developers these days are busy engrossed in developing lots of ecommerce shopping site applications compatible for mobile phones. Thus the users can sit at home and shop at the click of one keypad button. 11. Simulated trial of clothes, jeweleries accessories through image sensing. This technology will actually capture your image when you enter the store. You just need to select the accessories like clothes; jeweleries etc and it will be mapped on the image captured by the sensor. You could try for different varieties and options too.Thus, you don’t need to try and see. A lot of time will be saved by doing this. Sometimes you might not get all the varieties in the same store, so there might be a need to check in at a different store. Time travel to the other branches of the location with help of a super speed transporter which would transport you to the other branch. These are something which I could imagine when it comes to shopping in the year 2030. Still 17 more years to go and with advent in latest technologies and emerging solutions, I can bet that the things listed above could actually be implemented. If it’s implemented then it would tend to make our life easier. Easy and smooth living is what we desire. When we get everything at the tip of our finger then what else do we need to ask for? Till the ‘eye’ of innovation is still wide open, technological advancements will keep happening and things will move on gradually making life easier. I hope you liked all the ideas aforementioned! The future of shopping would be something to look for. PS - Images have been taken from Google Images! Great ideas! Now I am really eager to be in 2030, even if I get old! Thank you Sarah Malik. I appreciate. I am glad that you feel that I am a winner for you. THanks much again. great ideas dude....some of them worth of being moved to 'pipeline' so that they can be offered in future....all the best for the contest!! Now a day online create our way of way of way of life very easy. We can discover out out any information like shopping and technology by online in a few tasks and effectively successfully effectively properly secured our time.